Never previously released and compiled from the original master tapes, this four-CD set comprises the varied themes and incidental scores for the colour editions of The Saint, containing over 200 pieces of music and songs which were especially composed for the series. Composer Edwin Astley's distinctive take on Leslie Charteris famous literary character – and his familiar musical motif – leads into danger across the world for gentleman adventurer Simon Templar. In Geneva, he is approached by a young lady to rescue her defecting father from the soviets. In Wales, he finds death stalking the misty countryside in the form of a giant ant. In Vienna, he aids a young woman found standing over a murdered prince with a gun in her hand. In Amsterdam, he acts as bodyguard for the transportation of a priceless diamond. In Britain, he is hired to join a group of mercenaries masquerading as an army unit. Two feature-length tales see him tangling with the bizarre SWORD organisation which has sprung from the pages of a thriller novel as well as seeking revenge for the victim of a Mafia killing while on a visit to Naples. Added to this are songs and tunes to fit the flamenco dances and calypsos of bars in South American and the West Indies, as well as the night clubs, hippy parties and pop scene of swinging Sixties London. Including extensive liner notes from archive television historian Andrew Pixley, this set is an essential purchase for all ITC aficionados. A Saintly CD Collection -- Network has recently released a beautiful and complete soundtrack collection of The Saint. The four disc CD audio collection features original music and cues from the color episodes of the Roger Moore series as well as the two films. It also included notes by esteemed TV historian Andrew Pixley. You can order it directly from Network if you're in the UK, or if you're in the USA you can order it from Screen Archives Entertainment. This 4-CD set is also at Amazon (UK). 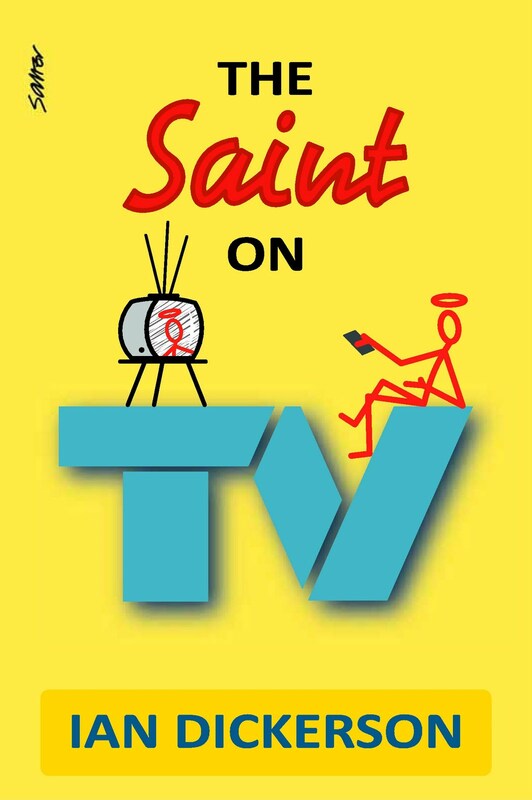 Last weekend, Ian Dickerson was interviewed on The Tainted Archive's TV Cop Weekend about his forthcoming book, The Saint on TV. We're very excited about this forthcoming book coming from Hirst Books in October 2010 (preorder today! ), as Ian has had unprecedented access to Leslie Charteris, family, and friends over his many years at the Honorable Secretary of the Saint Club. The interview gives a brief glimpse into the behind-the-scenes stories that Ian has managed to unearth during his years of in-depth research and own Saintly detective work. These stories include the Hollywood years of the 1940s and 50s when The Saint first became a topic of discussion with TV producers, the fantastic Roger Moore series of the 1960s, the Return of The Saint with Ian Ogilvy in the 1970s, the 1980s efforts, and the latest attempts to revive The Saint to television audiences around the world, The Saint on TV is coming soon, and hopefully not just in book form! The path to TV Heaven for the Saint and Leslie Charteris started in 1952, but the signposts to it had been planted in the 1940s: Vincent Price, during his spell as the Saint on the radio, had observed that the Saint’s creator Leslie Charteris “wanted to play it in every media” and in late 1948 Charteris had been approached by an Argentine company wishing to produce a series of Spanish-language Saint shorts—that is to say a series of films lasting twenty-five minutes, not an item of Saintly apparel. He refused them point blank. Even in the media intensive 21st Century Argentinean film and television productions are not know for the international sales and recognition that Charteris felt his creation deserved. It wasn’t until 1952, with the American TV industry still very much wearing its nappies, that Charteris began to seriously study ways to put the Saint on television; the blossoming small screen industry seemed the perfect next step for the adventures of Leslie Charteris, as creator of the Robin Hood of Modern Crime. Earlier that year he’d renegotiated the contract for the Saint radio shows retrieving control of the TV rights, which had previously been bundled alongside the radio rights as TV hadn’t really kicked into gear. He was now determined to develop a TV show for the Saint and penned a number of scripts, designed to show how a half-hour Saint TV show would run. He set to work with an LA based producer packaging the scripts and offering them as “a series or program of motion pictures for use exclusively on television and radio” targeting David Niven for the lead. It never made it in to production and with the benefit of hindsight it can be suggested that no one was willing to risk engaging Charteris, who had absolutely no experience in producing or directing a TV show. I regret having to advise you that the general opinion has been that the scripts are not sufficiently interesting and particularly, not of the proper type, in terms of general content for a motion picture television film. 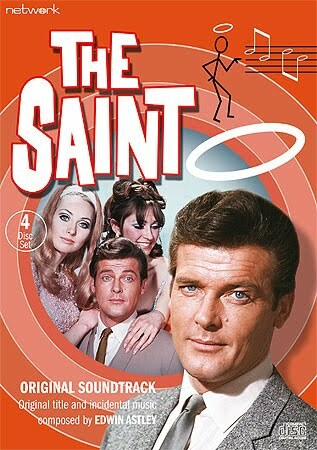 By 1960 the Saint was still to conquer television. 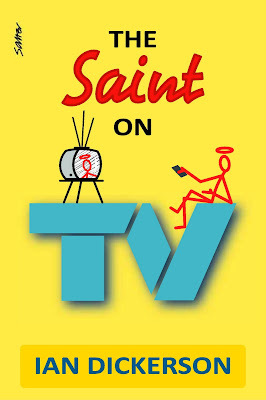 In the hopes that no news is good news, there has not been anything new to report on the forthcoming television revival of The Saint. It's still in the works, and there have been a few changes in the plans, but we're still hopeful that some official news will be on the horizon shortly! The official website of Leslie Charteris still holds out the tantalizing clue that, "There are unseen TV producers at work..."